In the first of this two-part series, we’ll discuss the first three launch barriers. Each product launch calls for a tailored approach, and it all begins with the right strategy. The strategy will depend on the disease state the drug is approved to treat, the size of the targeted patient population(s), and how payers and providers perceive its differentiators from competitive therapies already on the market. Is it serving/meeting an unmet need? Is it a novel route of administration (oral vs injection)? Does it have fewer adverse events? Is it easier to administer and, therefore, stay adherent? Will there be a smaller copay or less out-of-pocket costs? Careful market research and a deep understanding of the competitive landscape is critical to answering these key (and many other) questions and preparing an effective launch strategy. 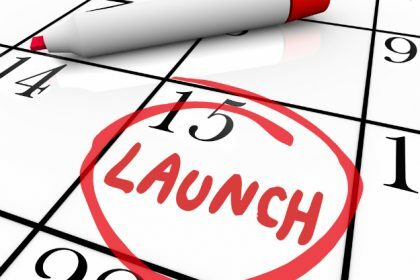 Ideally, launch planning should begin 18 to 24 months prior to approval to allow time for the necessary market research and industry analysis to create the brand’s high-level strategy, positioning statement, and strategic objectives. Marketing and communications: Create promotional campaigns, patient access programs, educational materials and leave behind collateral, field marketing tools, etc. Too often, launch teams severely underestimate the amount of time needed for successful planning and execution; and when time runs short, they may cut corners, skimp on cross-functional team collaboration and communication, and fall back on ineffective, outdated strategies — all of which can seriously impact a product’s launch. Many exceptional brand leaders are not launch experts, the two are not mutually inclusive. And while it doesn’t take away from the value they bring to the company and the product(s), the lack of experience can be detrimental if it results in critical launch-planning errors. Brand leaders are generally focused on the big picture and strategic thinking. Essentially, they are the “president” of a company or nation, with many big ideas that they would like to see come to fruition. Every president needs a strong “chief of staff” who will help execute their ideas and successfully drive their cause forward. In this critical role, the chief of staff — often an industry consultant — leads the operational end of the launch strategy. Capitalizing on lessons learned from previous launches, he/she understands the issues that may arise, can anticipate and mitigate risks, and uses best practices to implement tailored structures and processes. In the end, the chief of staff unilaterally aligns the cross-functional teams for a successful launch, and facilitates ongoing learning to guide future launches. Overcoming any of these 3 key launch barriers can improve the launch trajectory of your new drug. Breaking all 3 barriers would improve it even further. But to really optimize your trajectory and have a launch that others will want to emulate, you need to address all 5 barriers. In the second part of this series, we’ll discuss exactly what metrics and learnings teams should be tracking and utilizing in the launch process. In addition, we’ll identify what types of teams and team members to include in launch planning and execution, and how to best leverage their contributions to facilitate optimal launch. Tufts CSDD Assessment of Cost to Develop and Win Marketing Approval for a New Drug Now Published. Tufts Center for the Study of Drug Development. Published March 16, 2016. Available at: http://csdd.tufts.edu/news/complete_story/tufts_csdd_rd_cost_study_now_published. Accessed March 29, 2017. A new pharma launch paradigm: From one size fits all to a tailored product approach. Bain & Company. Published June 5, 2013. http://www.bain.com/publications/articles/a-new-pharma-launch-paradigm.aspx. Accessed March 29, 2017.